Things have been going well for us since the last time I was in touch. We just beat Real Madrid in the Spanish League Clasico and that is always a big plus. The team is in very good shape after starting off the EuroLeague with tough losses against CSKA and Gran Canaria. We won five games in a row after that, which is something we hadn't done in the last couple of years. It is not just the wins, but the way we are playing, too. It is really positive to see how we are improving game by game. Our defense is getting better and all the players are finding their roles. We don't have any injuries - knock on wood! - and are in good shape. We still have a long way to go and are playing in two very tough competitions like the Spanish League and the EuroLeague. We've had some crazy weeks - last week we played against Panathinaikos, Milan and Madrid. I think that, as a player, you always enjoy big competition and big challenges, and our fans enjoy it, too, because we are winning! 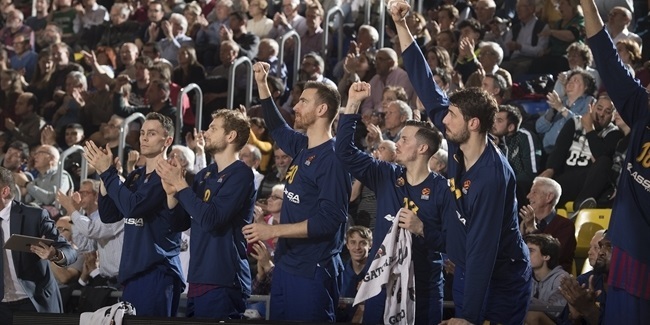 Our fans are finding their way back to Palau Blaugrana and that is really important for us. Our fans can make a difference, especially in tight games. We have a different feeling this season and I hope that will not change. 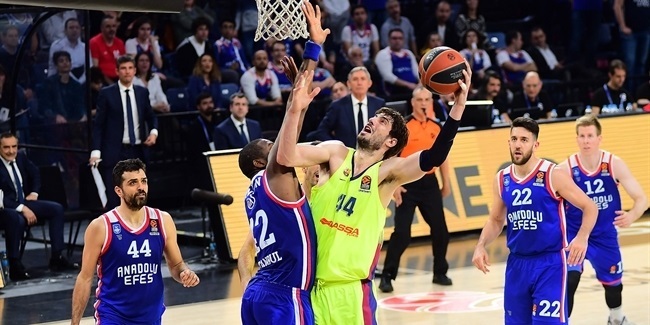 Some teams took more time to adjust to the new EuroLeague and I don't think it is a coincidence that we, Efes and Milan are doing better this season. In the last couple of years, Barcelona changed a lot of players and coaches, so I really think it is a good idea that we have the same coach as last season, Pesic. Everybody knows his systems, so you just have to focus on playing basketball. We have six or seven players which have played together for over a year – and some of them did for several seasons. I think that is a big plus. At this level, you can see that the teams are tighter together and that makes them more successful. "Our fans can make a difference, especially in tight games." Next we play against a team that has kept the same core of players for many years: Fenerbahce Istanbul. Their success is based on that, for sure. We could say the same about CSKA and Olympiacos, for instance, who have kept the same players for a long time. Everybody knows that Fenerbahce is one of the toughest teams in the EuroLeague. They always compete and rarely lose games by a lot of points so it is going to be a good challenge for us. Luckily this week, we have a little bit more time to prepare after a tough week, so I think we will see a really interesting game on Friday. We play at home, so the game will be very important for us. Home games are everything in this competition and it is always tough when Fenerbahce visits you but again, we are in good shape and will try to win. I am looking forward to playing against Gigi Datome, whose birthday was this week - happy birthday, Gigi! This is why you play the EuroLeague, to go against teams like Fenerbahce and players like Datome. 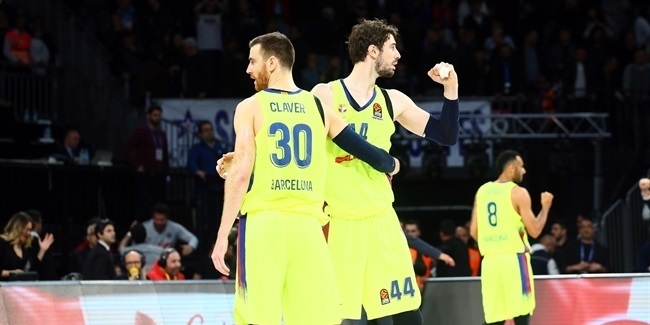 Both Datome and Nikola Kalinic are great competitors and as a player, it will a challenge, even though I am not sure I will get to guard them. I am not sure I am going to play against them because we may play different positions. Fenerbahce is a complete team. There is not one player that you can take out and say it is going to be easier to beat them. They function well as a team and this is why it is so important for us to play good team defense just like we did this weekend against Madrid, one of the teams that plays the best offense in Europe. We showed we can play good defense against this kind of team. Everything has to start from defense if we want to win. Fenerbahce won the last few games that it played on our home court. Hopefully, things will be different this season because it is very important for us to keep going, especially against big teams. A win against Fenerbahce would give us extra confidence for the rest of the year. "I really think it is a good idea that we have the same coach as last season, Pesic." On a personal note, I have a new car! I really like it, it is an electric car! It was a tough decision in the beginning because you hear a lot of pros and cons about these kinds of cars, especially about their autonomy. A lot of people are still afraid of buying electric cars, but I have to say I don't regret it and really love it. For me, it is perfect. I use it in the city, to go to practice and come home. It is a really good situation - it is silent and environmentally friendly. People say we haven't done well in the last two years and it's true - the team didn't qualify for the playoffs. Everybody remembers and everybody is comparing this season to the last one. We were an up-and-down team and this is also true; we beat Panathinaikos and Olympiacos by almost 30 points last season but then, we had some games in which we didn't keep control and that kept us out of the playoffs. This is an extra motivation, especially for the players who have been here the last two years. We have to leave everything on the court, where games are decided. We have to focus on the game, nothing else, and grow as a team to control those little details that make the difference in the end. So far, we have been doing a good job and hopefully, in the future, we will do even better.